Edit February, 2015 to include the Roger Berig LP. Dave Ackerman interviewed April 2013. I first ran across the Westminster-based Gold Leaf label on the outstanding 1978 self titled Kastles LP. Then, as fate would have it, discovered an earlier Gold Leaf album, a lounge recording by the duo Foxfyre (One of Us is Not Enough), in an Austin used book store. Noting Dave Ackerman's name on both, I tracked him down. He shared a brief history of his label, and his musical career. 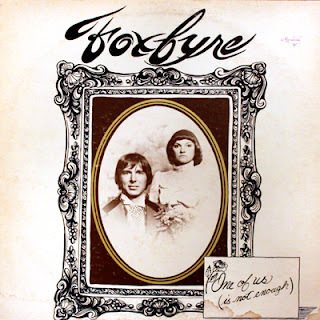 "The Foxfyre album was myself and my singing partner, Mary Davis, who performed at the Top Of The Rockies [located on the top floor of the Petroleum Building on the corner of 17th and Glenarm] for seven years. We wanted to have an album to sell to those who really liked us." The album, released in 1976, was Gold Leaf's freshman effort. Recorded at Applewood Studios in Denver, the album features Dave on bass, flute, and saxophone, guitarist Steve Jerrett, (along with former Synchrony guitarist Jay Salam), plus Ric Duncum and Larry Ziehl on drums, and steel guitarist Todd Clayton. Two years later he would release the Kastles LP. "Basically I did private recordings for the Kastles because they sang in church and wanted to share their talents with the congregation," he said. 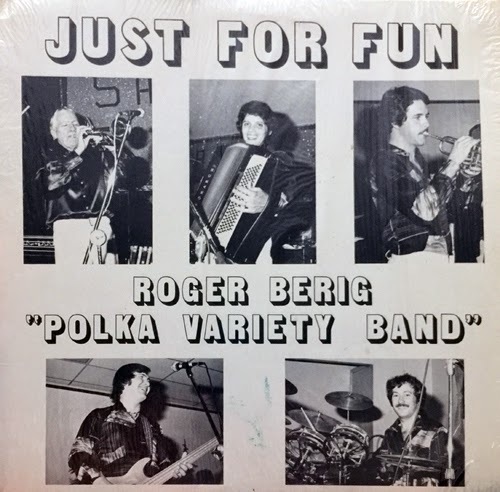 That same year, Ackerman would record the Roger Berig Polka Variety Band LP, Just for Fun, recorded live at the Shangri-la Club in Westminster. Gold Leaf's final record would come from country singer Tom Nix (GLM 0502), "Lady Luck"/"No Time To Say Goodbye" (both songs co-written by Ackerman), also recorded in 1978. 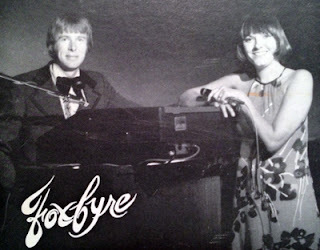 "I engineered and performed on Tom Nix's record, and he rewarded me with a stop payment check for the entire sessions. That's when I decided not to record any more people except myself." He went on to finish his Doctorate in music composition, wrote a symphony, and arranged and conducted the Jefferson Country Symphony's summer seasons for 19 years. "There is a CD that I did for gospel singer Alice Pegues, that I believe I put on the Gold Leaf label. I wrote several songs for that album, including 'By My Side,' which won a Colorado Songwriters top award." As for the rest of the musicians on the Foxfyre release, Steve Jerrett is a program director at Columbia MO radio station, Jay Salam builds web sites and teaches courses at Arapahoe Community College, Larry Ziehl continues to play around the Denver area, Todd Clayton is an airline pilot, and Ric Duncum passed away in 2007. Mary Davis' whereabouts are unknown. 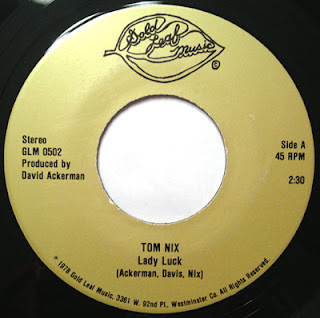 In 1981 Tom Nix scored a Billboard Hot 100 country song, "Home Along the Highway."